OPPOSITELOCK! 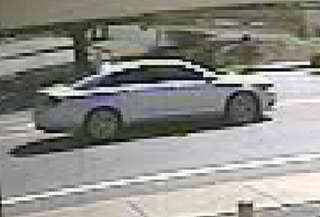 Help Identify This Car! ﻿The killer’s car. This is the only surveillance shot from the area that shows the car. Blurry as hell and they can’t figure out for sure what kind of car it is beside the fact that it’s silver with dark tinted windows. Possibly an Impala. Help find a murderer. Please.